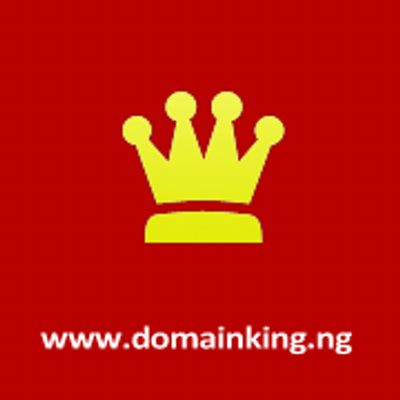 DomainKing.NG is a popular domain registrar and hosting provider.The host is now giving Domainking Promo: Get .NG Domain For ₦499 Cheapest Ever. The Promo for .ng domains is tagged ‘Crazy .NG Sale'. With this promo, you can register your favorite domain at cheapest price ever. And If you don't know , DomainKing.NG isthe #1 Domain Name Registration company in Nigeria, and with this Crazy.NG Sale promo, you can register your .ng domains at the lowest prices in the world. ✔.Get a .com domain name for ₦2699. You won't find these prices anywhere else,maybe not in Nigeria. This is the right time to get a custom domain for your new blog,the appropriate time to register a .NG for your Nigerian-based website, the best chance to increase your professionalism through a .COM domain. ✔️ 2 Free emails on your domainUnlimited mail forwarding. Note Please note that this Crazy .NG Sale promo pricing is valid only for first 2000 registrations till 30 April 2018. So, hurry up and grab this exclusive deal on DomainKing.NG. No coupons nor vouchers needed! Just pick and pay. Hurry to DomainKing.NG to buy .COM, .COM.NG and .NG at the cheapest prices! kami sekeluarga mengucapkan banyak terima kasih kpda nyai ronggeng,atas bantuan nmr 4d 4150 100% tembus klu mau sprti sya hbgi nyai ronggeng di nmr 0852-8634-4499 terima kasih roomx sobat..